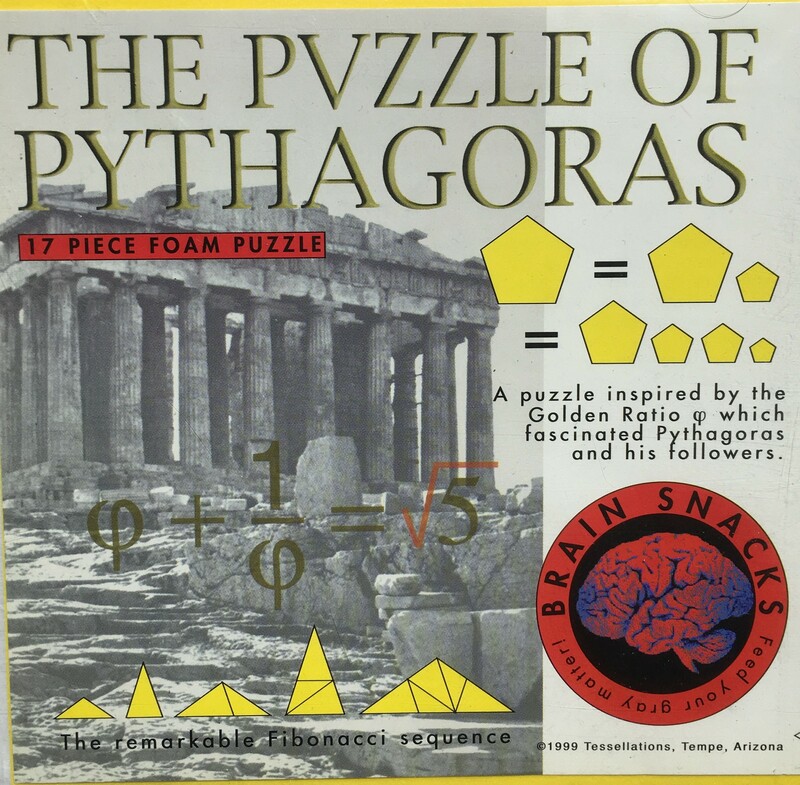 A foam puzzle inspired by the Golden Ratio, which fascinated Pythagoras and his followers. One large pentagon can be rearranged to form different combinations of smaller pentagons. Loaded with fun geometry content! Ages 8 to adult.